Reading about card games and not sure what some of the terminology means? Not sure what someone means when they say they’re on the button in a ring game? This glossary of card terms is here to clear up all of your confusion. In poker, when a player places all of the money that they have on the table in the pot. Any further betting by other players will create a side pot. A small amount of money contributed by each player at the beginning of a hand in order to seed the pot. See also: blind, “Blinds and antes“. A commission charged by a casino for each hand dealt on table games in some jurisdictions, such as Oklahoma. The ante is often tied to the amount of a wager; for wagers under $100, casino may require an ante of fifty cents, with the ante raising to $1 for wagers of $100 or more. In jurisdictions where antes on table games are commonplace, casinos may waive the ante at certain times for promotional reasons. In poker, where charging of such commission is more commonplace, this is called a rake. The five-card hand in Pai Gow Poker. The back hand must outrank the front hand. In Badugi and its variants, a hand consisting of four cards that do not duplicate suit or rank. An example of a badugi would be 4♠ 6♦ 7♥ 9♣. In Spades, an overtrick. Collecting ten bags causes a 100-point penalty against a partnership. The banker hand in Baccarat. In Klaberjass, when the maker‘s opponent scores higher than the maker, the maker is said to have gone bate. The opponent scores all points earned by both themselves and the maker in this case. In Klaberjass, a meld of the K-Q of trumps (equivalent to a royal marriage in other games). In Kalooki, to go out on the same turn that the initial meld was made. Opponents of a player who bends the table are charged double penalty points. A straight consisting of A-2-3-4-5. Depending on the game, the bicycle may simply be a 5-high straight, or the second-highest straight, ranking just under a Broadway straight. In poker, the larger of the two blind bets. The big blind is posted by the player to the left of the small blind and is usually twice the amount of the small blind. In Pepper, a bid to collect all six tricks. A partnership making a bid of big pepper scores twice the amount of points if successful, and loses twice the amount of points if unsuccessful, compared to the otherwise-identical bid of little pepper. In poker, ace-king suited. So called because the hand has many opportunities to develop into a powerful hand, many of which slip away as the board cards are revealed. A large, square, transparent carrying case that allows the easy, secure transport of multiple full racks of chips. So called because, when carried by the handle, it resembles someone carrying a stereotypical wire bird cage. In the game of Blackjack, a natural two-card hand with a score of 21. Note that only 21s obtained with the first two cards are considered blackjacks; a 21 obtained as the result of hitting, doubling down, or splitting are not considered blackjacks. Blackjacks are paid out at a premium rate, usually one-and-a-half times the bet. Any bet made without seeing one’s cards. Some games require one or more players to post blinds in lieu of antes. See also: “Blinds and antes“. In Thirty-One, a score of exactly 31 in one suit. Revealing a blitz ends the hand. In Hearts, any point-scoring card. In most games, this is all thirteen hearts and the Q♠. In versions where the J♦ counts as –10 points, it is included in the definition too. No blood can be played on the first trick. In Nap, a bid that the player will win all five tricks. A Blücher bid can overcall a bid of Wellington, and doubles the amount that the player can win or lose compared to Wellington. In poker, a card that is dealt face-up and forms a part of all players’ hands. In Authors, a four of a kind. In Bourré, to fail to capture at least one trick during the course of a hand. In Euchre and related games, the jack of trump (the right bower) and the jack of the same color as the trump suit (the left bower). A bonus awarded to a player in Gin Rummy for winning a hand. To be the first to legally play a card of a particular suit. Until the suit is broken, there may be restrictions against leading with it. Especially used in Hearts, where hearts can be broken, and Spades, where spades can be broken. The narrower of the two standard playing card sizes. Bridge size cards measure around 56mm × 88mm. Bridge-size cards are helpful in games where the player must hold a large number of cards in their hand, like Contract Bridge. See also: poker size. A method of paying out a blackjack in the game of the same name. A payout is bridged by placing an amount of chips equal to the original bet next to it, then placing the remainder of the chips (equal to half the bet) in a single stack atop both stacks. Payouts are only bridged when all of the chips involved are the same denomination; for other bets, heeling is performed instead. An ace-high straight, i.e. A-K-Q-J-10. The Broadway straight is the highest straight. When all of the cards are the same suit, it forms a straight flush called a royal flush. The joker in Pai Gow Poker. The bug is wild for the purposes of creating straights and flushes, but for all other purposes, it is considered an ace. In Cassino, using a card from your hand to create a combination that can be captured on a subsequent turn. To discard a card without exposing it as part of the prescribed dealing procedure. Cards are burned to limit the effectiveness of marked cards by keeping the backs of certain critical cards concealed until it is time for them to be revealed. Burning cards also helps to further randomize the deck and makes it difficult to count cards. In Blackjack, one card is burned at the beginning of the shoe; in Texas Hold’em and Omaha, one card is burned before each set of community cards is dealt. A card discarded by burning. In Blackjack, to exceed a score of 21 and therefore lose. Likewise, in Seven Twenty-Seven, to exceed a score of 27 and therefore lose, and in Farmer, to exceed a score of 16 and lose. In Blackjack, a dealer’s upcard that is likely to result in the dealer busting. Cards commonly considered bust cards include 4s, 5s, and 6s. When a bust card is showing, the optimum strategy is to play conservatively and allow the dealer to bust. A small white puck with the word “DEALER” engraved in it, placed in front of the player who is the nominal dealer for that game. The button is used to keep track of who would be the dealer in games where the deal does not actually rotate (e.g. when the house supplies a dealer, or in computerized games). The player who is “on the button” is the last to take action, which can be a considerable advantage. To begin a game session (usually of poker, but can be used in other games) by exchanging cash for chips. The amount of money exchanged is similarly called a buy-in. To match the size of the current bet, but not increase it. See “Betting in poker“. In Kalooki, to claim a discard out of turn. Calling can only be done if a player has not made their initial meld, and each player is limited to three calls per hand. In Faro, to make a bet predicting the order of the last three cards in the shoe. Successfully calling the turn pays 4 to 1 in most cases, but only 2 to 1 if there is a cat-hop. In Canasta, a seven-card meld. A canasta can include no more than three wild cards. A canasta with wild cards is called a “mixed canasta”, whereas one with no wild cards is called a “natural canasta”. Table games other than the main games found in the pit (Blackjack, Baccarat, Roulette, and Craps). Carnival games include Three Card Poker, Ultimate Texas Hold’em, Mississippi Stud Poker, Caribbean Stud Poker, as well as variants of Blackjack such as Spanish 21 and Pure Blend 21. Carnival games typically offer less favorable odds to the player and lower betting limits to reduce the game’s volatility. A bonus scored in Piquet for capturing all twelve tricks. A Piquet hand that has no face cards. Carte blanche may be declared, and the hand revealed, for a ten-point bonus. An abacus-like device used to keep track of the cards that have been played in Faro. (also ring game) In poker, a game played with each chip representing a real cash value. Used to distinguish such a game from a poker tournament. In Faro, when two of the last three cards in the shoe are of the same rank. Successfully calling the turn on a cat-hop pays only 2 to 1, instead of the usual 4 to 1. In Tonk, when the player who drops fails to have the lowest score of unmatched cards, they are said to have been caught. (French for hat, pl. chapeaux) In Mille, when a player scores negative for the hand as a result of the value of the cards remaining in their hand being greater than the value of the cards they melded. To call when the bet is zero. A player who checks does not put anything into the pot but gets to keep their hand and remain active in the game. Once someone has bet, checking no longer remains an option; players who wish to avoid putting money in the pot must fold instead. See “Betting in poker“. Casino jargon for a chip. An attention call used to alert the pit boss that chips are being colored down. A plastic or clay disc used to represent value in a game. Each chip may denote a certain amount in cash or may simply represent a theoretical value in tournament games or in games where players do not wish to wager with real money. Different denominations of chips are distinguished by different colors. See also: “Standard casino chip values“. (also chip tray) A small tray, usually made of acrylic, that holds gaming chips in a vertical orientation, for storage or counting purposes. A standard chip rack holds 100 chips in five rows or tubes of 20 chips. Multiple full racks of chips nest inside one another, and a stack of them can be placed in a birdcage for transport. In poker, an agreement to split the payouts in a tournament rather than play the tournament until all of the players are eliminated. For example, if a tournament offers a $1,000 prize for first place and a $500 prize for second place, the final two players may agree to chop the prize money for $750 each. In Thirteen, three or more consecutive pairs (e.g. 4-4-5-5-6-6) or four of a kind. A chop can be played at any time and can only been defeated by a higher chop of the same type. In Bourré, a hand which is certain to win at least three of the five tricks. To break a larger-denomination chip into smaller ones. For example, exchanging a purple $500 chip for five black $100 chips. To exchange smaller-denomination chips for larger ones. For example, exchanging five red $5 chips for one green $25 chip. A device that is a combination shoe/shuffling machine. Rather than waiting until the shoe is depleted and shuffling all the entire deck all at once, discards are periodically added to the shoe and automatically shuffled into the deck. While this means the game play never needs to be paused for a shuffle, it also means that counting cards is impossible. An objective given to the winner of a bidding session (a declarer) in Contract Bridge and similar games. Contracts often require that a player capture a certain number of tricks or score a certain number of points to be fulfilled. If a contract is broken (not fulfilled), the declarer suffers a penalty. In Contract Rummy and its derivatives, the combination of sets and sequences required for the initial meld on that hand. The contract is usually different on each hand. A lammer used in Faro to signify that a bet is for a card to lose, rather than to win. So called because pennies were often used for the purpose, though more professionally-run games used small black hexagonal tokens. Keeping track of which cards have been played and which remain in play, especially in Blackjack. Counting cards usually doesn’t mean keeping track of the exact identities of the cards played, but rather keeping a mathematical count that summarizes the composition of the shoe. Card counting allows a player to raise their bets when the shoe contains many cards that are favorable for the player and lower them when it does not, thereby allowing a player to overcome the house edge. Card counting is not illegal, but if a pit boss or casino surveillance detects a player doing it, they may be asked to stop playing Blackjack or be banned from the casino. In Brag, to go all in. This is symbolized by the player placing their cards face down over the main pot. Any further bets by other players are placed in a side pot. In Piquet, to score 100 or more points. Failure to cross the Rubicon results in a steep penalty for the loser of the game. Named after Julius Caesar’s crossing of the river Rubicon in 49 BCE. To split a deck of cards into two parts and place the bottom part on the top of the deck. Cutting helps further randomize the deck and helps guard against the dealer stacking the deck. A card of contrasting appearance and material to the rest of the deck, placed on the bottom of the deck to prevent its bottom card from being exposed. Cut cards can also be used as a marker placed in the middle of the deck to denote the end of the shoe, i.e. when the deck should be shuffled. Describing a card which, for whatever reason, cannot have any direct effect on further play (although knowledge of its absence may affect players’ decisions). This could be because it was rendered moot by a legal play, because it simply was not dealt before a certain time, because it was discarded, or because a technical mistake like a misdeal or inadvertant exposure caused it to be declared dead. In poker, two pair, aces over eights. So called because it was said to be the hand held by Wild Bill Hickok when he was killed. What the kicker was is unknown; various sources give it as a queen, a jack, a nine, or a five, or that the card had not yet been dealt. Unmatched cards that are part of the hand, but not part of any meld at the end of the hand. In some games, a player’s deadwood count can score points for the opponent. A poker game where each player gets to select the variant of poker played on their turn to deal. The player may even be able to choose non-poker betting games, like Red Dog, and set wild cards and betting limits. The winner of a bidding session (and their partners) in Contract Bridge and similar games. The declarer is often required to fulfill a contract or suffer penalties. The player’s opponents, usually called defenders, attempt to prevent the declarer from fulfilling the contract. Alternate spelling of dix, advocated for by twentieth-century card expert John Scarne, who considered dix confusing. The opponents of a declarer. The goal of the defenders is to prevent the declarers from fulfilling their contract. A game where twos are designated as wild cards. (also muck, especially in poker) A stack of cards formed by the accumulation of discards throughout a hand or game. Cards in the discard pile are usually out of play and not, although some games allow drawing from the discard pile in certain circumstances. In some games, when the stock is depleted, the discard pile is shuffled to form a new stock. An L-shaped piece of plastic used in table games. The discard rack is bolted to the table and keeps the cards from previous hands in a tidy stack until the next shuffle. In Pinochle, the lowest trump in play. This is usually a 9, but in some variants refers to the 7 of trumps. Derived from the French for “ten” and is pronounced accordingly (like “deece”). In Contract Bridge, to make a bid that duplicates the previous bid, but doubles the penalty for breaking the contract and the reward for fulfilling it. One of the four actions possible in Blackjack. A player doubling down agrees to receive only one more card in exchange for being allowed to increase their bet to up to twice their original wager. A player will generally only double down under favorable conditions such as holding an 11 (which, due to the high number of cards valued 10, makes a score of 21 particularly likely) or when the dealer is showing an unfavorable card. Doubling down on a score of 12 or greater is definitely not recommended. In Blackjack, the act of doubling down, but increasing the bet to less than twice the original wager. Not all casinos may allow doubling for less. In poker, continuing to play on in hopes of drawing a particular card to complete a good hand, while unknowingly playing against an opponent whose hand would win even if the desired cards were dealt. In Tonk, to lay one’s cards face up on the table, ending the hand. When a player drops, the player with the lowest count of unmatched cards wins the hand. In Contract Bridge, the hand belonging to the declarer‘s partner. The declarer’s partner does not take an active part in the hand; instead, the dummy is spread face-up and the declarer plays cards from it at the appropriate times. (also elder hand in two-player games and forehand) The first hand dealt, usually the hand held by the player at the dealer’s left. In most games, the player holding the eldest hand is the first to play in that hand. In Hearts, a low-value card played to get out of having to lead to the next trick. Five of one rank of card. When it appears in a game played with a single standard deck of cards, a five of a kind will consist of at least one wild card. A five of a kind is the highest poker hand. The large chip rack set into the table that holds the dealer’s bank. The dealer uses the float to pay out winnings and make change. Sometimes referred to as simply the “dealer’s rack”. In Texas Hold’em and Omaha, the first three board cards. In poker, five cards of the same suit. To decline to call another player’s bet, thus surrendering the hand. See “Betting in poker“. To play a card of the same suit as the first card played to the trick. Most trick-taking games require a player to follow suit, if able; failure to do so is called revoking. If a player is unable to follow suit, they are usually free to play any card they desire. A portion of a solitaire layout. Foundations are often required to start with a certain card (typically aces), and are then built upward in both suit and sequence, and moving the entire deck here is often the end goal of a solitaire game. As such, cards moved to the foundations are rarely moved elsewhere, although the rules of many games do not outright prohibit it, and it can sometimes be strategically advantageous to do so. Four of one rank of card. As a five-card poker hand, a four of a kind will also include one unmatched card. The two-card hand in Pai Gow Poker. It must outrank the back hand. In Canasta, a discard pile containing a wild card is said to be frozen. A frozen discard pile may only be taken if the upcard may immediately be used in a new (not previously-existing) meld. A poker hand consisting of a three of a kind and a pair, e.g. 5-5-5-3-3. In Gin Rummy, ending the hand with a deadwood count of zero. One “goes Gin” by declaring “Gin” rather than knocking. In Contract Bridge, when one partnership collects all thirteen tricks. A Blackjack hand that counts an ace as one. For example, K-7-A is said to be a hard 18. See also: soft. To play to win a trick by playing a higher card of the suit led (or a higher trump) than any played so far. Some games require a player to head the trick whenever possible. In poker, one-on-one play. This may be the result of everyone else folding or because all of the other players have been eliminated from a poker tournament. A method of paying out a bet in Blackjack that consists of multiple denominations, especially on blackjacks. The dealer builds a stack of chips, with the highest denomination on the bottom and working toward the lowest denomination on top. The bottom chip is dropped off the stack next to the bet and the remainder of the stack is balanced on the edge of the bottom chip. One of the four options available to the player in Blackjack. A player who hits receives another card in hopes of getting their count closer to 21. A player may hit repeatedly until they are satisfied with their score (at which point they stand). Hitting carries the risk of busting. In Tonk, to lay off a card on an opponent’s spread. In Between the Sheets, to match one of the first two cards dealt. As a win in Between the Sheets is to be dealt a third card between the first two cards, hitting the post is a loss. A card which is dealt face-down and is kept secret from other players until the showdown. In Contract Bridge, the ace, king, queen, jack, and ten of trump, or the four aces in a hand played with no trump. Bonuses are awarded for the number of honors held in one hand. The facility or venue hosting the game and its staff. Typically used to refer to the casino in games played in a casino, but can also refer to the host in home games. The inherent mathematical advantage the house has in any casino game. While players may experience winning or losing streaks, over the long term, the house edge usually cannot be overcome, no matter how well you play. In Pai Gow Poker, the set of rules a dealer must follow when setting the hands for the house. A deck of cards which has some form of imperfection that results in one or more cards being identifiable, such as a factory defect or damage. See “Incorrect and imperfect decks“. A deck of cards that does not have the correct composition required for the game being played. See “Incorrect and imperfect decks“. The textual identification of the rank of a card, usually accompanied by a suit symbol, that appears in the corners of a card. The index only became a widespread feature of playing cards in the twentieth century. Indices may appear in either two or all four corners of the card. Various types of indices exist, such as standard index, the smallest usually seen, jumbo index, which is larger and easier to see from farther away, and magnum index, where the indices take up the majority of the card face. Which index is the best to use varies based on the personal preferences of the players and the game being played. For games such as Contract Bridge or Hearts, where the player is required to hold a large number of cards in their hand, standard index cards are useful because they allow the player to fan the cards more closely together. For games such as Texas Hold’em or Fan Tan, where cards are placed in the center of the table and viewed from a distance, jumbo index cards are usually preferable. Magnum index cards are generally only used in situations where the players have impaired vision. In Blackjack, a side bet that may be placed when the dealer is showing an ace as their upcard. An insurance bet is paid out when the dealer has a blackjack and loses at all other times. An insurance wager is limited to half of the original bet and pays 2 to 1, so it compensates the player for the loss of the original bet. It is statistically optimal to always decline insurance. One of several extra cards included in a deck. Most decks of cards, such as Denexa 100% Plastic Playing Cards, include two jokers, although some include four or more. If more jokers are needed for a game than are included, other extra cards, such as guarantee cards or other informational cards, can be used. For most games, jokers are removed from the deck. When included, jokers often serve as wild cards or as a trump card. 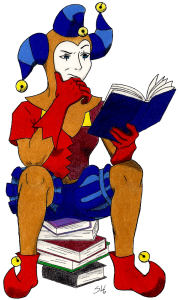 Most games treat all jokers equally, but some distinguish between them; therefore, many decks of cards include one red joker and one black joker. An extra card included in a poker hand that is not part of the actual ranked part of the hand. For example, with the hand A-A-Q-10-7, the hand is ranked as a pair of aces, and the queen, 10, and 7 are all kickers. Hand ranks are often given with only the highest-rank kicker mentioned; the example hand might be given as “a pair of aces with a queen kicker”. Kickers are usually irrelevant to the strength of the hand, but they are used to break ties. To render or declare a hand ineligible to win the pot. In Mexican Sweat, a designated rank of card that, if revealed to be part of the hand, kills the hand. To knock on the table. In many games, knocking often signifies a player wishes to end the hand (e.g. in Knock Poker and Gin Rummy); in others, it may simply mean the player is passing (e.g. in Thirteen, and in most forms of poker, where it signifies a check). A small disc with engraved text, usually smaller than chips or the otherwise-similar button, used to keep track of various information in a poker game. An example is a “missed blind” lammer, placed in front of a player’s position when they are absent on their turn to post a blind. Lammers come in various colors to further distinguish them. To contribute to an opponent’s meld at the end of the hand. Doing so allows a player to reduce their deadwood. In Euchre, the jack of the other suit of the same color as trumps. Despite not being the same suit as the other trumps, the left bower is considered the second-highest trump, ranking just below the right bower. A poker game where the lowest-ranked hand wins. This can be reckoned by several methods; see “Lowball poker“. Cards which have been intentionally altered to facilitate cheating by making their ranks or suits identifiable from the back. A combination of cards with a certain composition, particularly in the Rummy and Pinochle family of games. In many games, melds are three of a kind or more, or a sequence of three or more cards. Depending on the game, players may be required to lay melds down in front of them, or they may be kept concealed until the end of the hand. Some games award players points for each meld, whereas in others melds simply serve to reduce the amount of deadwood charged against them. In Nap, a bid that the player will win all five tricks. In Tresette, a meld consisting of 3-2-A of the same suit. A card that stands as its face value and is not a wild card. Combinations of cards not including wild cards can also be said to be “natural”. For example, in Canasta, a canasta including no wilds is called a “natural canasta”. A perfect or near-perfect hand formed in the initial deal with no cards drawn to it. Special rules often apply when a natural is dealt. For example, in Blackjack, a 21 with the first two cards is considered natural, and is subject to an immediate 3:2 payout, even if the dealer later ties the score of 21. In Baccarat, an 8 or a 9 is considered a natural, and the hand automatically wins, with the other hand not given the opportunity to draw at all. In Contract Bridge, the tricks collected in excess of six during one hand. For example, if a partnership collected a total of nine tricks, they collected three odd tricks. When a player’s judgement is compromised by their emotional state (usually anger or irritation with their opponents’ play). Being on tilt usually leads to poor play. Players can get in a vicious cycle where losses can put them on tilt, which leads to mistakes in play, resulting in even more losses. Players should learn to recognize when they are on tilt and come up with ways to deal with it, such as taking a break. A trick captured in excess of the amount specified in the contract. While some games award bonuses for overtricks, other games penalize players for collecting them, providing an incentive for fulfilling the contract as precisely as possible. To play a higher trump than any previously played to a trick. (also boodle card) In Newmarket, a card that entitles the player to collect an associated pot when played. The pay cards are the A♥, K♣, Q♦, and J♠. In Hand and Foot, a meld of seven cards. Any of the suit symbols present on a number card. For example, a ten of hearts includes ten pips, each of which is a heart symbol. This usually doesn’t include the small suit symbol present in the index. If the “pip value” of a card is referenced, it means the number of pips on the card (so the pip value of an eight would be 8). In Piquet, to score 30 points in a hand before one’s opponent scores anything. The player receives a 30-point bonus for pique. See also: repique. An area of a casino where table games other than poker are played. A pit typically consists of a circle of tables, with the players seated around the outside and the middle of the pit reserved for dealers, pit bosses, and other staff. A supervisor overseeing a pit. The pit boss ensures games are being dealt correctly, monitors players for signs of cheating or counting cards, and resolves customer complaints. A game of Blackjack that does not use a shoe; instead, the dealer holds the cards in their hand and deals them in much the same way that poker and other games are dealt. Because a shoe is required to deal typical six-deck blackjack games, pitch games are usually dealt with only one or two decks, making them more favorable to the player than six-deck games. Some casinos pay 6 to 5 on blackjacks on pitch games instead of the usual 3 to 2 to compensate for this fact. A rectangular chip, often used for higher denominations than traditional round chips. The wider of the two standard playing card sizes. Denexa poker size cards measure 63mm × 88mm. Poker-size cards are most appropriate for games where the player is not required to hold very many cards in their hand. Despite the name, poker is often played with bridge-size cards, not poker-size. See also: bridge size. The collection of chips that is at stake in poker and games with similar betting structures. Player bets are added to the pot, and the pot is awarded to the winner(s) of the hand. See also: “Betting in poker“. Describing a game where the maximum bet is equal to the amount in the pot at the time the bet is placed. See also: “Betting in poker“. In Texas Hold’em and Omaha, the first betting round, which takes place before the flop is dealt. In Brag, a three-of-a-kind. The term prial is a contraction of “pair royal”. The prial is the highest Brag hand. In Scopa, a point awarded for having the highest cards of each suit overall. In Gops, one of the cards that is the object of bidding. Each of the diamonds is a prize card. The player hand in Baccarat. See four of a kind. To increase the bet. See “Betting in poker“. In poker, a flat fee or a percentage of a pot that is charged as a commission by the house. The rake is the only interest the casino has in a poker game. Charging a rake in a home game likely categorizes the host as a casino in most jurisdictions, and is therefore illegal, even if home poker games are otherwise usually legal. The value of a card. In the standard French–English pack, each suit consists of one card each from thirteen ranks, generally ordered from lowest to highest: ace, 2, 3, 4, 5, 6, 7, 8, 9, 10, jack, queen, king. Because there are four suits, there are four cards of each rank. Some games alter the order of the ranking. The most common change is to move the ace to the highest rank, although other alterations do occur in some games (e.g. Thirteen, which has 3 as the lowest rank, ace above king, and then 2 above the ace). In some games, the ace can be highest or lowest, at the player’s option. In Cash (Kemps), a hand where the stock runs out before any calls “Cash” or “Countercash” to win the game. Such a hand is considered a draw. To buy in again midway through a session because you have depleted your initial buy-in. In Contract Bridge, to make a bid that duplicates the previous doubled bid, but again doubles the penalty for breaking the contract and the reward for fulfilling it. In Piquet, to score 30 points before the play of the hand begins, and before one’s opponent scores anything. The player receives a 60-point bonus for repique. See also: pique. A portion of a solitaire layout that is essentially a second stock that can only be drawn from in certain circumstances. One example of a game with a reserve is Canfield, where cards can only be drawn from the reserve when gaps are created in the tableau. To fail to follow suit when able. If it is discovered that a player has revoked, they are often subject to a penalty. The most frequently used method of shuffling cards, where two halves of the deck are interleaved to randomize the order of the cards. See “How to shuffle the casino way“. In Euchre, the jack of trumps. The right bower is the highest trump. See also: left bower. In Texas Hold’em and Omaha, the fifth and final board card. An ace-high straight flush, i.e. A-K-Q-J-10 of the same suit. Often identified as a separate hand from the straight flush, the royal flush is the highest poker hand that can be formed without wild cards. A match in Contract Bridge. A rubber is concluded when one partnership wins two games. To play a trump card when a non-trump suit was led to that trick. In poker, a hand that was made by getting the exact cards needed on both the turn and river. Particularly used to denote a favorable outcome against real long-shot odds. Other players may, of course, consider chasing such an unlikely hand and hitting it runner-runner to be a prime example of sucking out. In Brag, three cards of the same suit in sequence. Equivalent to poker’s straight flush. In Tonk, to end a hand by running out of cards, then discarding the last card. When a player runs out, they win the hand and are paid the stake by each opponent. If a player runs out without discarding the last card, they are said to have tonked out instead. In Egyptian Ratscrew, a pair separated by one card, such as 7-4-7. A method of cutting a deck of cards designed to break up a stacked deck. A section of cards from the center of the deck is repeatedly removed and placed on top of the deck. The cut is then concluded with a normal cut. Advocated for by twentieth-century card expert John Scarne. Italian for sweep. Used to describe sweeps in Scopa. In poker, a three of a kind formed by two hole cards and one board card. Usually referred to with the rank of the set, e.g. “a set of tens”. A series of cards in consecutive rank. The minimum and maximum extents of a sequence, and whether they must all be the same suit, varies from game to game, but often the minimum is three with no maximum. Aces can often be counted as either high or low for a sequence, but some games restrict it to one or the other. A sequence may or may not be allowed to “go around the corner” and use the ace as both high and low (e.g. Q-K-A-2-3). See also: straight. A dealing box used to hold cards. Typically used for casino games like Blackjack or Baccarat, which often use six or eight standard decks of cards shuffled together. A secondary pot caused by a player going all in. When a player goes all in, any further bets by other players are placed in the side pot, and the all-in player is only eligible to win the main pot. The side pot is won by the player who holds the highest hand out of only those who contributed to that pot. Multiple side pots may be created if additional players go all-in while competing for the side pot. In Piquet, to choose not to declare a combination of cards that could legally be declared. Sinking a declaration is usually done when the player feels that the strategic value of keeping the declaration concealed outweighs the possibility of declaring it. To use a stack of chips of known quantity as a template to create another stack of chips of the same size and, therefore, the same quantity. See also: “How to count poker chips“. In Egyptian Ratscrew and Slapjack, to slap a particular card when one is out of cards and thus rejoin the game. If a player slaps at an inappropriate time, or fails to slap in when able, the player is permanently eliminated from the game. A supply of cards that players may draw from. Typically formed by the stub. In Hearts, collecting all of the blood (point-scoring cards) in one hand. Rather than scoring 26 points against the player, as this normally would otherwise, the player instead scores zero and the other three players score 26 points. In poker, the end of the hand, when all hole cards are revealed and the best hand is determined. In poker, the smaller of two blind bets. The small blind is posted by the player to the left of the button. In Contract Bridge, when one partnership collects twelve of the thirteen tricks. In Snap, a stack of cards in the center of the table that is formed by a player calling “Snap” in error. A snap pool can be captured by calling “Snap pool” whenever its top card matches one of the other discard piles. A Blackjack hand that counts an ace as eleven. For example, A-7 would be a soft 18. It is impossible to bust with a soft hand, as the ace can instead be counted as one (converting the hand to a hard hand). A game characterized by a player moving cards around a layout according to certain rules, usually with an end goal of getting all of the cards in a particular arrangement, such as moving them all to the foundations. As the name implies, solitaire games are generally designed for one player, although a few two-player games exist. To topple a stack of chips, fanning it out so that the number of chips in the stack can clearly be seen. One the four options available to the player in Blackjack. Splitting allows a player to double their bet and split their hand into two separate hands, each of which are played and paid out separately. A player is only allowed to split with their first two cards, and only if the first two cards are a pair (in some casinos, splitting any two cards with a value of ten is permitted, regardless of whether they form a pair, but this is never the statistically best play). If the player forms a pair with one of the newly-split hands, they may be allowed to re-split, although there is often a limit on the number of times this is permitted. A deck which has been intentionally arranged in such a way that the deal results in some desired outcome (usually to give one or more players a favorable hand). Stacking the deck usually also includes some form of fake shuffle and cut so as to not disturb the stacked cards. Stacking the deck is, of course, cheating. One of the four options available to the player in Blackjack. A player opting to stand declines to take any more cards. To stick with one’s original hand, i.e. to decline to discard cards and draw replacements, especially in draw poker. In poker, an extra blind bet posted by the player to the left of the big blind. Whether straddles are allowed is at the discretion of the house. In poker, a five-card sequence with varied suits. If all of the cards are the same suit (i.e. it is also a flush), it is a straight flush instead. A straight that is also a flush, i.e. five cards in sequential order and all of the same suit. An ace-high straight flush is called a royal flush. A method of shuffling where blocks of cards are pulled off the top of the deck and moved to the bottom. The strip shuffle is, on its own, not very effective, but can be used in conjunction with the riffle shuffle to help further randomize the deck. See “How to shuffle the casino way“. (also deck stub) The remainder of the deck after dealing is complete. In some games, it may become the stock; in others, it may simply have no further part in game play. In poker, to continue to play a poor hand that really should be folded, then receive a favorable card on the turn or river and win the pot. Sucking out may put an opponent on tilt. One of the major divisions of the deck. Most European decks of cards contain four suits, each of which contains the same number and ranks of cards. Each suit is identified by a unique symbol. The modern French–English deck uses suits called spades (♠), clubs (♣), diamonds (♦), and hearts (♥), with the former two appearing in black and the latter two appearing in red. The suits are usually considered equal, but some games may establish a ranking order for them, or establish different rules for red cards and black cards. Decks of cards used in other countries may use other suits, although the French–English deck is often found worldwide. A combination of cards of the same suit, especially when what the exact suit the cards happen to be is not particularly important. For example, A♥-7♥ may be referred to as A-7 suited. In Cassino and Scopa, clearing the entire board of cards in one turn. The main body of a game layout, especially in solitaire games. Specific rules often govern the movement and placement of cards in the tableau. Any casino games that take place on a card table and are run by a live, human dealer. Traditional poker is sometimes excluded from this definition because the game is not played against the house. Examples of table games include Blackjack, Pai Gow (both with tiles and as Pai Gow Poker), Baccarat (including Mini Baccarat), Three Card Poker, Ultimate Texas Hold’em, Mississippi Stud Poker, Caribbean Stud Poker, Roulette, and Craps. The area of the casino where table games are played is called the pit. This term is typically used to distinguish these games from other casino games not dealt by a dealer, such as keno and slots. Three of one rank of card. As a five-card poker hand, a three of a kind will also include two unmatched cards. Casino jargon for a tip. Short for “token of gratitude”. In Tonk, a hand with a point value of either 50 or lower than 11. Holding a tonk hand is an instant win. In Tonk, to end a hand by running out of cards without discarding, i.e. by playing all of their cards on that turn to spreads. When a player tonks out, they are paid a double stake by each opponent. In Seahaven Towers, a free space that any card may be moved to at any time. In Cassino and Scopa, to discard a card face-up to the table. Cards that are given special status, usually outranking all or most other cards. Often, an entire suit will be designated as a trump suit. What determines a trump varies from game to game; in some games, a certain suit or particular card is always trump (e.g. the spade suit in Spades), in others, it is determined randomly by drawing from the deck, in still other others, players bid for the right to name the trump suit. Some games place restrictions on when a trump can be played. A sequence of cards which every player has played to once, after which a winner is determined. Playing tricks is the central game mechanic of a host of “trick-taking” games, many of which descend from Whist and its descendant, Contract Bridge. The first player to play to a trick (usually the player who collected the last trick) is said to lead to the trick, and the other players are usually required to follow suit to the card led. In most games, collecting tricks is desirable, although some games penalize players for collecting tricks in excess of a given amount. In a few games, such as Hearts, collecting tricks (or tricks containing certain cards) is to be avoided. Three of a kind. In poker, the term trips is generally used to refer to a three of a kind formed by one hole card and two board cards. See also: set. In Texas Hold’em and Omaha, the fourth board card. A poker hand composed of two pairs and one kicker. In Gin Rummy, having a lower deadwood count than one’s opponent when the opponent knocks. A player who undercuts their opponent scores a bonus. In poker, the player who is first to act. If blinds are posted, this is the player to the left of the big blind; otherwise, it is the player to the left of the button. Each trick below the number of tricks a player or partnership is required to collect by a contract. For example, if the contract requires eight tricks be collected and the player collects six, there are two undertricks. A face-up card. When referred to as “the upcard”, it usually refers to a particularly important upcard, such as a card that was turned up to determine the trump suit, the top card of the discard pile, or the dealer’s face-up card in Blackjack. In Contract Bridge, a partnership that has won one game is said to be vulnerable. A method of shuffling cards where the deck is spread face down on the table and the cards are randomized by hand. See “Washing a deck of cards“. In Nap, a bid that the player will win all five tricks. A Wellington bid can overcall a bid of Nap, and doubles the amount that the player can win or lose compared to Nap. An extra hand that is dealt but not given to any particular player, at least initially. Depending on the game, the widow may be exchanged with a player’s hand or otherwise come into play at some point. In other circumstances, it may simply be discarded without being revealed. A particular rank of card that can be considered as another rank of card at the player’s option. Depending on the game, wild cards may be restricted to fulfilling certain roles, or may be called as anything the player wishes. For example, in Pai Gow Poker, the wild card is restricted to completing straights and flushes, and at all other times, is considered an ace; however, in most other poker games, a wild card can stand for any other card. Jokers and twos are often used as wild cards.